Sign-up and receive Property Email Alerts of Residential New Developments in Hout Bay, Hout Bay. 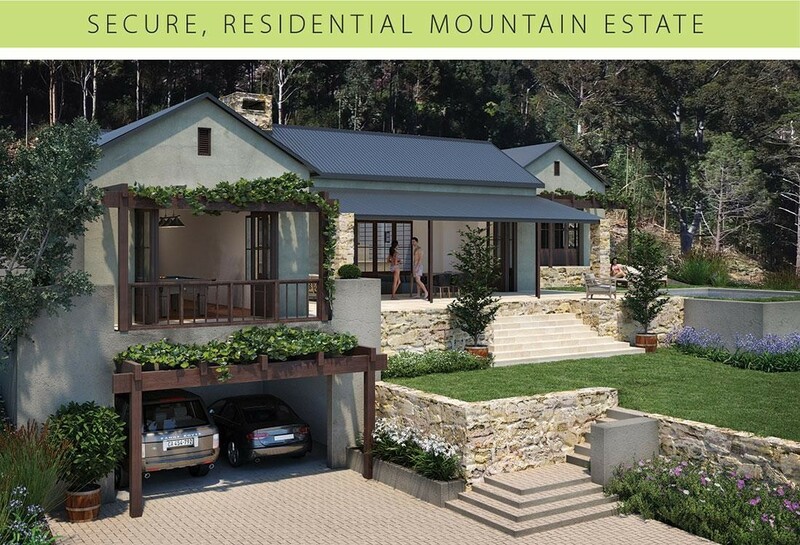 Constantia Nek Estate is a secure, residential mountain village comprising 40 opportunities to build your dream home in an idyllic rural ambiance. The estate covers an area of 11 hectares, and plots are all in excess of a quarter of an acre creating a low density living environment. Particular emphasis has been placed on installing the infrastructure for the highest level of security. Nestled between the mountains and the sea, the Estate is situated only 1 km from Constantia Nek on the historic scenic M63 leading to Hout Bay. The Estate slopes gently to the north west offering the perfect facing aspect and commands unparalleled sweeping panoramic mountain vistas. The Estate provides a rare opportunity to live a country lifestyle within the tranquil mountain setting of Constantia Nek and Hout Bay, but within easy access of the City of Cape Town (20 minute drive). It is possible to be removed from the hustle and bustle, yet have all the convenience that urban living offers. The location is extremely accessible to the many desirable amenities such as popular shopping centres, winelands of Constantia, southern suburbs schools, top restaurants and nearby beaches as well as some of the Cape's best nature trails and walks. Quick access perimeter path around entire estate, enabling full perimeter patrolling by security vehicle or foot patrol. The vision of the estate is to create a secure village sympathetic to the environment and typology, minimising the impact on the natural beauty. It recaptures the South African farm vernacular and its relationship to the landscape surrounds, giving the illusion of having evolved over a greater period of time. A detailed Architectural Design Manual is available for download from the website, but as an indication, maximum permitted build areas, inclusive of garaging, verandahs, and patios, ranges from 546 m2 to 707 m2. Typical floor plan designs for ‘Plot and Plan’ are available to view on site.